I recently read two novels that I just had to share with you. Both of them are beautiful and lovely. 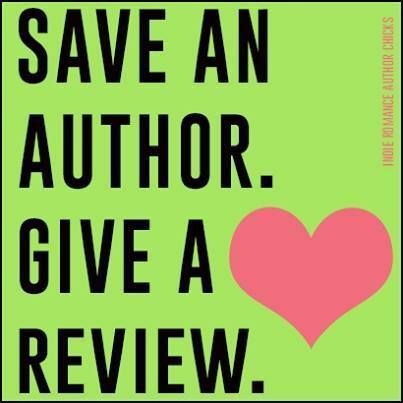 One is by Kim Wright, a debut author, and one is Sara Gruen (Water for Elephants). I think I initially connected with both of them because of time I spent living in the U.K. when I was young, but as I read each one I fell in love with the books because of the complex and beautifully written stories. I highly recommend both of them for your Summer Reading lists. 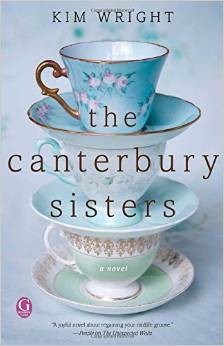 Kim Wright’s novel The Canterbury Sisters is a delight to read. I would especially recommend it for book clubs who enjoy the explorations of friendship and the journey of womanhood. It’s refreshing to read about a character in her forties who still has a lot of life to live. Maybe it’s because I’m forty-ish myself, but I don’t think I’m old, and I’m glad that Che doesn’t think she is either, although she has gratefully come to a point in her life when the truth of her own journey, and of the other women in Broads Abroad, can lend perspective on who she has become. I think I enjoyed the story even more since I’ve trekked through England myself a few times, but I was much younger than Che’s character at the time. Reading The Canterbury Sisters made me want to travel again, so “broads” who dream of going “abroad” will love this story for its adventurous quality. Just beware, you might find yourself booking a trip to England after you’ve read it. 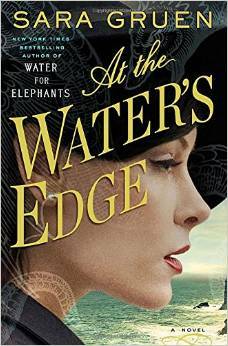 At the Water’s Edge is a mesmerizing novel full of rich meaning and the heartfelt struggle of a young woman’s journey to find out who she really is. To make it that much more meaningful, the protagonist’s journey to find self is thrust upon her. She is constantly tossed around by those who surround her. They decide everything for her and she doesn’t seem to have any say about anything. As her husband and their best friend search for the monster of Loch Ness, she is searching for a creature within herself that may just eat her own soul if she doesn’t manage to start living for herself. Personally, I took a trip to Drumnadrochit myself when I was living in the U.K. and I understand the pull of the monster in the Loch. You can’t stand on the banks without imagining if it’s really in there, but Sara Gruen took this universal feeling that many tourists and locals must have felt at times, and she wove a story so deep and real that it makes us as readers think about the monsters that live within ourselves. Lovely.